 Want to cut right to the chase and learn which planning system I’ve fallen in love with and used for the last year and a half? Scroll to the bottom or click here to find out right now! *Disclosure: Some affiliate links used in this post. Thank you for your support! I love getting organized, and color-coding, and writing everything out. I love planning for the year and setting goals and working toward something. And, so, I love planners, because that’s where I get to do all of those things!! But go to search for planners on google, and you’ll come up with a billion different options. There are a few that stand out, a few that people have compared with others, but when I searched, I could not find a comprehensive review of planners, something that compared more than 2 planners at a time. 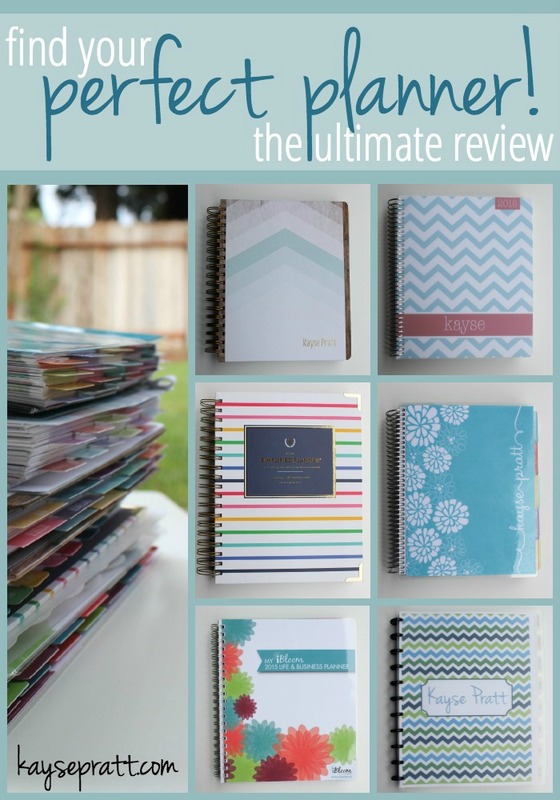 So, I give you the Ultimate Planner Review! I gathered 6 different planners, all of which are highly esteemed in the online world, and set out to find the best planner for myself, and the best planner for you! The one that’s right for you may not be the same one that I’m in love with, so each planner will include the pros, cons, an overall summary, and a recommendation of what kind of person might love that specific planner. And photos, of course! Ready to find your perfect planner? Let’s do it! I’ve used the Erin Condren Life Planner for the last three years, and loved it. I love everything Erin Condren, really, from her Functional Family System to notepads to iPhone covers to lesson planners & more! I LOVE EC. So, naturally, I’ve always chosen the Life Planner for my planner. I color code my entries according to their category (each member of the family, homemaking, blog stuff, dōTERRA stuff, meal planning), and organize my days that way. I don’t love the way each day is divided, especially now with 2 kids, a blog, and a business to run! But in the past, the colors & cuteness have more than made up for the growing lack of functionality in my own life. Take a look! It’s beautiful, bright, and colorful! Plus, you can personalize it with your name & even photos. It’s thorough. With the weekly layout plus a monthly calendar, it’s easy to organize and chart your schedule. There’s also a place for a perpetual calendar, contacts, pages for notes, and more. Freebies! This comes with a ruler/bookmark & personalized gift tags and play date cards in the back. Love it. Extras! You can purchase coordinating pens, a pen holder that sticks onto the last page of the planner, and a cute band that will hold the planner together. And EC makes all KINDS of products, including a family planner system, calendars, iPhone cases, and more, so you can actually purchase everything you need in the same color scheme and pattern, so your whole life is coordinated. Nice section at the bottom for meal planning. Great space on the side for weekly notes and goals. Currently, you can only purchase the planner in the morning, day, and evening format. If that doesn’t work for you, this planner isn’t going to work for you. It’s pricey. But if you’re a new customer, you can save $10 when you order through this link & sign up for her email updates. There is no place for yearly goals, or other planning features, and ideally there needs to be a few more pages for notes in the back. As much as it pains me to admit, the EC Life Planner just doesn’t fit my life right now. The divisions into morning, day, and evening are no longer the way I organize my day, and it’s just turning into a big to-do list each day. I need something with a little more structure & space. However, I’m changing a few things up and turning this Life Planner into my new Blog Planner! I need less space for blogging info, and having a separate planner for writing & blogging will help me stay better organized (I think). I’m excited that I still have a reason to use this planner, and am looking forward to getting more organized in my writing. Who Might LOVE the EC Planner? I was really excited about the Plum Paper Planner. 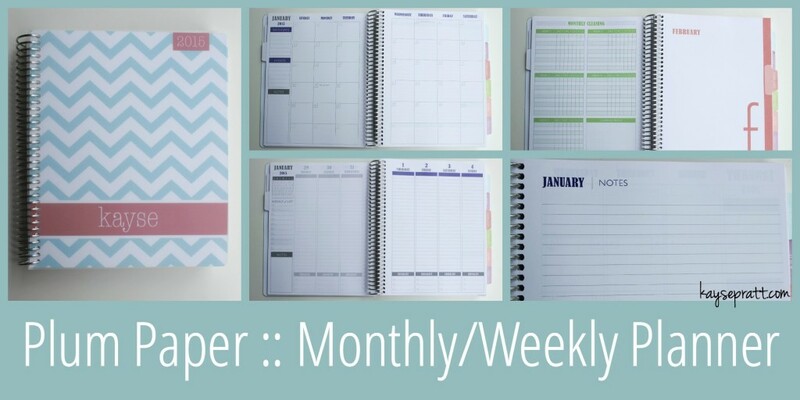 It’s very similar to Erin Condren, but gives you four options for the weekly planning pages!! Plus, it also includes a full page of notes at the beginning and ending of each month, AND you can add is EXTRA note pages and a monthly cleaning page. Win! I absolutely LOVE how customizable this planner is – Plum Paper has done a great job of catering to every type of person. I ordered the pages that included a long vertical view of the day, with no divisions, thinking this would work well for my color coded to-do list. It totally does, but still leaves me with just that – a to-do list. I really love the weekly and daily checklist, but there wasn’t any designated space for meal planning. Full page of notes at the beginning and ending of each month, with option to add more! Option to add the monthly cleaning checklist into the month as well. More affordable than the others, PLUS they are offering a 10% discount to KaysePratt.com readers if you use the code KAYSE10 – yay!!!! Checklist each day for too 3 things you needed to do. No place for meal planning. No designated place for goal setting, although you could use the note pages for that. Overall, this is an AWESOME planner, and is WAY more affordable than most of the other options I found. And for how customizable it is, the price truly is amazing. I loved the versatility of this planner, but I still needed something with a bit more structure. This could work well for a blog planner too, especially with how many note pages are in each monthly spread. 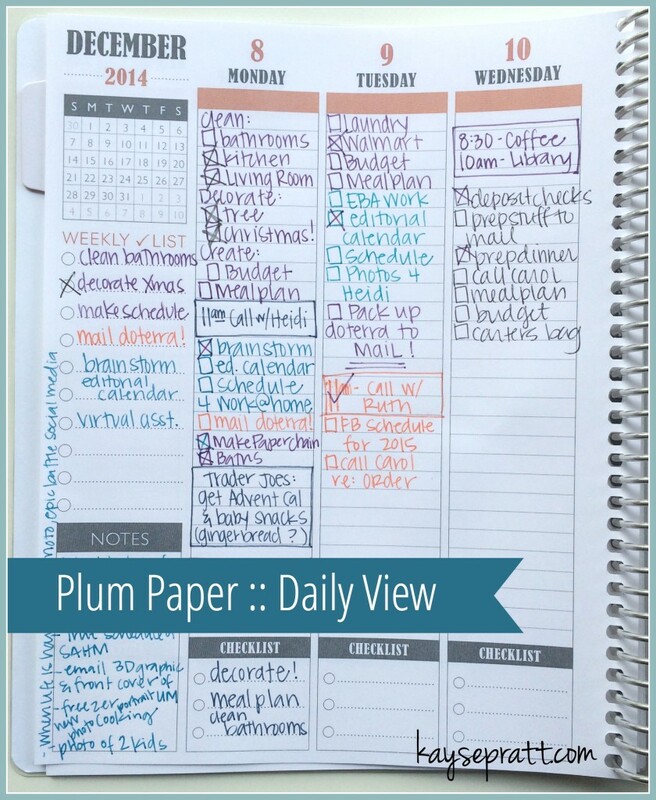 Who Might LOVE the Plum Paper Planner? 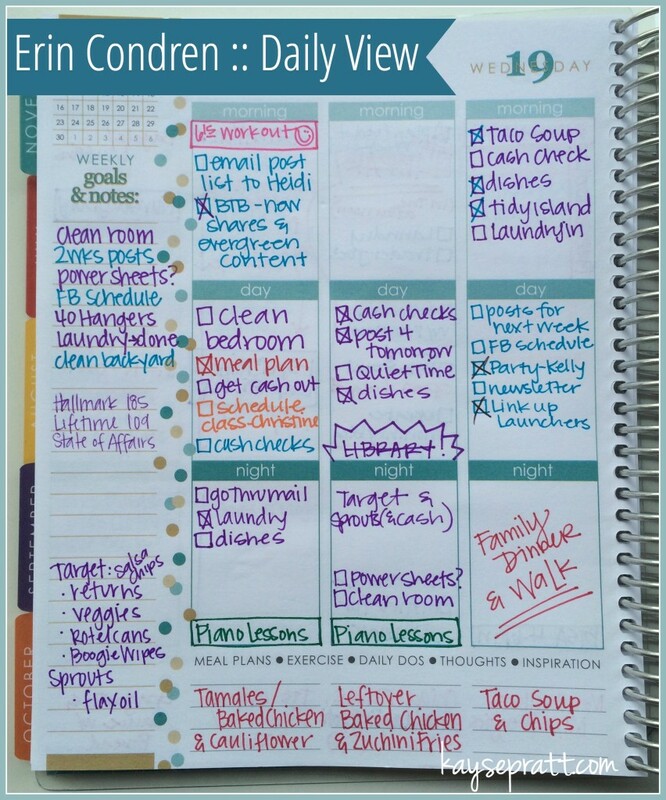 Working moms & Work-at-home moms might really love the hourly schedule layout for each day! Oh, from the beginning, the Inkwell Press Planner had my organizer heart! It is SO VERY beautiful and very well designed. It’s got a space for everything! Plans & goals for the year, with a space to revisit those goals every month. Perpetual calendar & contacts included, plus a space for good books, movies you want to see, and more. Two options for the weekly layout. I LOVE THIS PLANNER. Seriously, a space for everything you need! Two options for the weekly spread. Section for fitness, meal planning, and home items on each day. Comes with a video series on how to set up your planner. $10 OFF your first purchase when you use my referral link! I could have used just a tiny bit more writing space each day. If this planner had a daily option instead of a weekly option, it would be PERFECT for me! Who Might LOVE the Inkwell Press Planner? 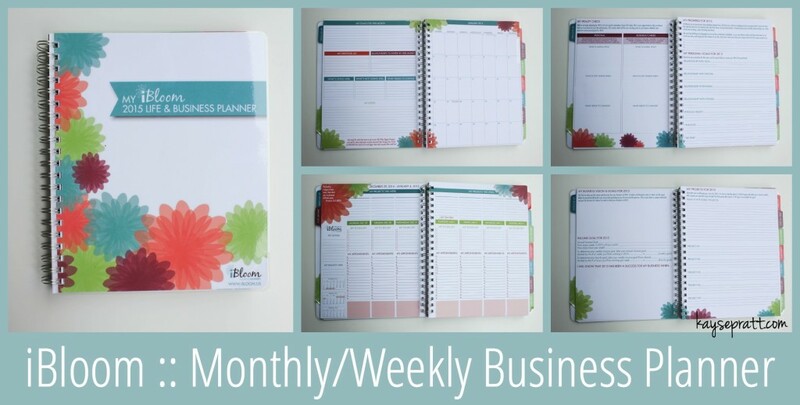 I’d heard great things about the iBloom Life & Business Planner for anyone who is both a mom and a business owner. Plus, Kelly Gore, who runs iBloom, always has good things to say, and seems incredibly sweet. I pre-ordered this planner, and couldn’t wait to get it. I LOVE all the business planning pages. And, similar to the Inkwell Press Planner, there’s a space to set goals and check in with those goals each month. For businesses, this is a FABULOUS planner. I highly recommend it to anyone who is really focused on starting and building a business, first & foremost. Bottom line, this planner was just a little too much business for me. I run a blog and a business part time, and try to fit that work in around my family time, instead of the other way around. I couldn’t wrap my brain around using this planner every day, personally. I do think, though, that for someone who is more business-minded than I am, it would be a total blessing! Who Might LOVE the iBloom Life & Business Planner? Working moms & Work-at-home moms with a strong business mindset! My AMAZING friend Christy makes these planners, and she sent me one last week as a Christmas gift! She is the sweetest. She customized the cover for me, with a design I love and my name. LOTS of space for planning each day! Notes, to-do list, and 3 month calendars on every weekly spread. Bright colors, great quality paper. Created on the ARC system, so you can add pages! Planner is a bit large – it’s the same size as a full size notebook (8.5×11) However, this could also be a pro because it gives you PLENTY of space to write, which I love! It’s bright, fun, and functional. Christy also has planner sheets that are specific to students and sheets tat are great for bible study notes! She’s creative and will customize your cover to fit your style and colors. For anyone looking for an affordable, fun planner, Dreams2Inspire Planners are a great option! 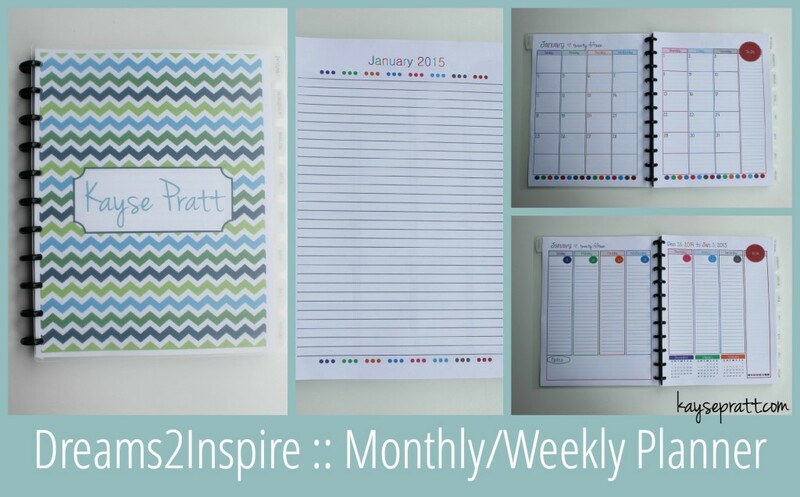 Who Might LOVE the Dreams2Inspire Planner? It’s called The Simplified Planner for a reason. Instead of a monthly and weekly spread, this planner has a monthly and daily spread. And that’s it. There’s one page for your yearly bucket list on the front, and maybe notes in the back (? ), but that’s all. The daily pages, though, are awesome. From 7am-7pm, there’s a schedule by the half hour for charting your day. On the side there’s a to-do list with enough room for a realistic list of things you can do, plus a space for notes and the dinner menu. Daily pages are very thorough and easy to use. Monthly calendar has a generous amount of space. Actually simplifies my day by giving me a basic schedule/routine to check in with while accomplishing my to-do list. Sturdy pocket in the front cover. 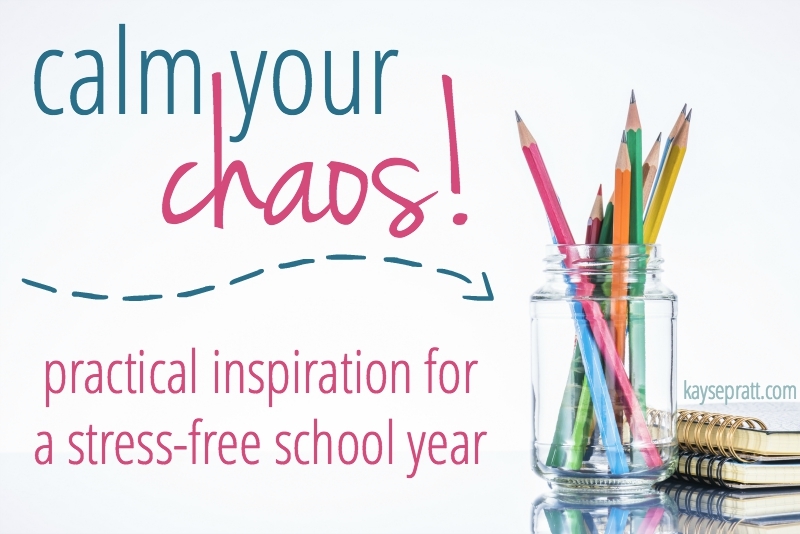 Lots of free printables you can add in & keep in the front pocket. No space for monthly goals, or note pages. I’m in love. I didn’t think I would be, but I am!! It’s the planner I didn’t know I needed. I love that I have a full page for every day. I’m working on establishing a morning and evening routine, and having the schedule broken down by half hour is LIFE CHANGING for me. The to-do list is big enough to put a bunch of things on it, but not so big that there’s no way I could accomplish everything. It’s very simple in colors, so I can still color code my schedule and to-do list without it clashing with the design of the planner. And there’s space for me to take notes and plan dinner. Overall, this planner truly allows me to simplify my days, which, in turn, simplifies my life. I literally cannot wait for January 1st so I can start using the actual planner instead of the printables. And I’m compensating for the lack of goal-setting space by using it with Lara Casey’s PowerSheets! PLUS, I’m also obsessed with Emily Ley’s Simplified Journal. More on that later. For now, all you need to know is that the Simplified Planner is a total win! 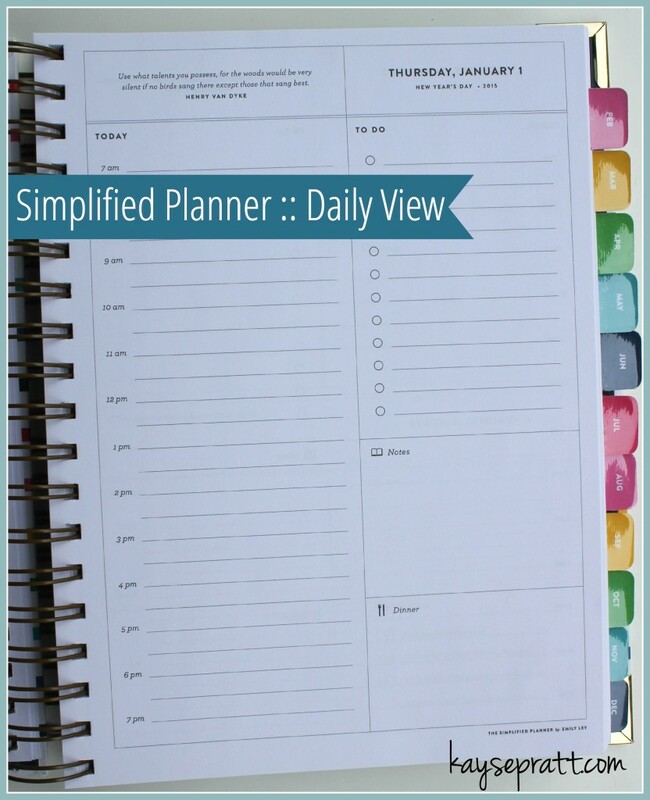 Who Else Might LOVE the Simplified Planner? SO MANY BEAUTIFUL PLANNERS, right?! I hope this review has been super helpful as you prepare for 2015! Each option is so awesome, I really don’t think you can go wrong. (Updated for 2017-2018) :: I’ve been using the same system for the last year and a half, and I don’t see myself ever using anything else. I’m in love! See, for years, I’ve shared with you The Ultimate Planner Reviews, while answering questions and helping people choose their perfect planner. And so, The Organized Life Planner was born. And it has changed my life in the very best way. My hope is that it changes yours too, and becomes a tool that you can use to truly organize and simplify your life – getting everything down on paper so that you can actually clear your head, and make time for the things that matter most. Ready to take a closer look? Check it out! And the best part? It comes in two versions – a pre-printed version that comes shipped straight to your home, OR a print-at-home version that you can customize with our add-on planner packs! Ready to find out if The Organized Life Planner is the planner you’ve been waiting for? CLICK HERE or below to get all the details on our 2018 editions! So, tell me – which planner is your favorite? If you enjoyed this post, don’t miss our home management series! Practical inspiration for your home and your heart that you can implement right away! Have you looked at the Orange Circle Studio Do It All Planner? It has sections for each day, similar to a student planner, but I can separate daily stuff from my stuff, my husband’s, and my daughters and still have a space for menu planning. It still doesn’t have everything I would use, so I’m looking into how to make my own, but its different from all the ones you have shared here. Beautiful post! Thank you!! SO SO difficult to buy online a planner… You really need to feel it right! I have been browsing for days, and you have done the best job out there Kay! Thank you for breaking into pros and cons, details etc! Hi Becky! I don’t sell an editable version, but you can use an online program like PDFfiller to fill in the blanks, if you’d like. I don’t know of anything that will change the section titles, though. I hope that helps a little! Thanks so much for this incredible comparision. I just ordered a full size Plum Paper planner for 2017. Yay!! I have used Papermate pens in my Erin Condren Planner over the past 3-4 years with some very minimal bleeding. Recently, I switched to Emily Ley and wondered if I should switch to Le Pens as Emily suggests for the Simplified Planner. Do you see bleeding through the new Simplified Planner pages with the papermate pens? Thank you so much for this post. I was looking for planners similar to Erin Condren, but well, less expensive. The Erin Condren is really great, but as I live in the UK, the shipping cost is huge, so I’m not willing to buy it! I thinking the Plum Paper is for me, heading over there now! I love using Gel Bee Gel Pens with my planner, they just came out and are super cute, write well, and awesome colors! Find them at Dollar General and CVS. I just wanted to thank you so much for these reviews as I need all the help I can get to search for the best planner for my lifestyle. The 2 best planners for me would be the Inkwell Press Planner & the Dreams2Inspire Planner. The Dreams2Inspire Planner most certainly wins for me as it gives me all of the space I could ever ask for. Thanks for the review. I have been long time Levenger Circa user, but now want to enhance some of what I use and jazz it up a bit with stickers and washi. Appreciate any advice along those lines. This is a great review! Are you considering doing an updated version for 2017? This year I purchased an EC planner but it came incomplete. Dealing with EC customer service was one of the most frustrating experiences I have ever had with a company. I am still stuck with a planner that had 3 months with most of the month missing. It’s very frustrating, especially when you consider what I paid for the planner. From what I hear I am not alone in my experience with EC customer service. 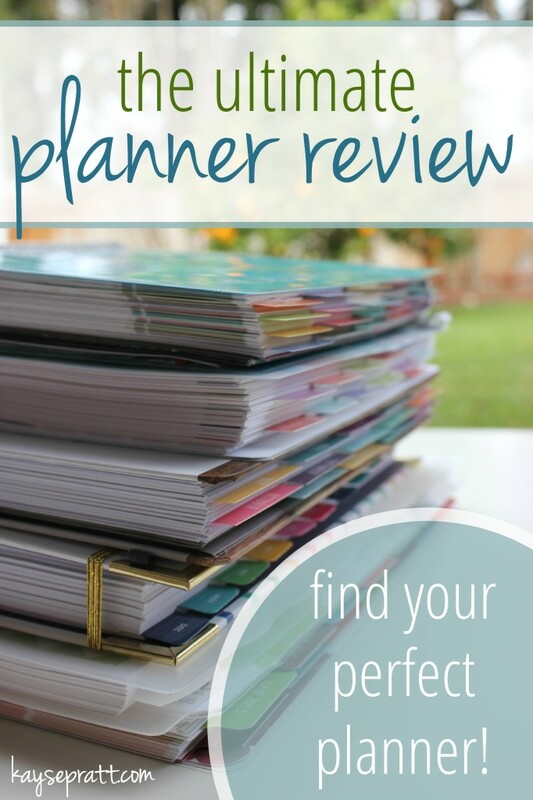 Having your review to find other planners has been very helpful! Looking forward to seeing more possibly for 2017 planners? This was incredibly thorough and helpful. I ended up going with the iBloom because it was the best fit for me as I plan to launch my business. I know now EC has Life Planner journals that I believe have goal setting in them. Will you be doing an update on this post to see how this fits since that was your Holy Grail product before? I absolutely loved reading this review. Thank you for taking the time to put it together. I am curious though, was the Simplified planner still your favorite at the end of the year? I have been using one of the planners you mentioned for the past couple of years but you have me convinced to try a new one as I have a little one on the way. Pls pls warn ppl iBloom includes Scripture, every day. Not an issue for you. But I know many Hindus, Muslims, Jews, agnostics and even Christians who abhor Scripture quotes. Anywhere. It’s just a shock to see that and not expect it. You are casting a wide net here. It’s only right. I doubt if YOU want quotes from some religion or belief system not of your choosing, right? Thank you. That’s true, it does! I personally love that feature, but I realize there are some who might not. I feel like they are pretty clearly a Christian company though? IF one is busy, and one ONLY checks the PRODUCT page, then no, it is NOT clear this is a Christian company. Many Christians make planners and journals yet this is the first I’ve found with actual Scripture printed on it! DO NOT assume ppl will read every page of a site. They will usually ONLY read what is specific to them: the product page!!! When I read about this on FB comments or ppl’s blogs, I was led to this page. DO NOT ASSUME ppl will read more than necessary. It’s only necessary to read about the planner. NOT the company. I’m ONLY helping ppl MARKET their wares. Believe me, if I bought this and then realized there’s Scripture, I’d be freaking MAD. I’d post it ALL over the net. It would not be pretty. Instead, I’m merely sharing valid BUSINESS thoughts here. Welcome to the real world where ppl hold a variety of beliefs. Over and out. DO NOT RESPOND. I’m done. Happy 2016. Blessings all, no matter your beliefs. We are Jews and do NOT abhor scripture. In fact, Jesus was a Jew and a good one at that. Having daily scripture will only enhance the day and keep our thoughts focused on Him and the good He teaches. Thank you so much for this post, you inspired me to get one!! I just spent way too much time researching which one would be perfect for me! I decided on the Inkwell, I’m in love!! BUT they’re sold out! Do you know how to get a 2016 Planner from them?? Oh no!! There’s a group on Facebook called Inkwell Fans Marketplace – sometimes people sell them in there! You can post that you’re looking for one. Also, I think IWP itself is having a sale of their “slightly imperfect” planners in January! Wow! Such a great review. I’ve been planner and list obsessed since I was 10 (I was an odd kid). I’ve been a stay at home mom on and off for 7 years. Now have my own crochet business, am an independent sales rep for Avon and have started a part time job. I also have a son in school, a husband with a job that relies on the weather and several family members going through health issues that require way too many appointments. At this point the basic agenda is just not cutting it. I’ve spent weeks searching for a better planner, reading reviews, watching youtube vids (who knew agendas would be interesting enough for videos, guess I found my clique lol) and still couldn’t decide. You’re reviews cut to the meat and hit on the points that were important for me to make a choice. Finding a planner that works will make my life so much easier and cut down on the craziness and the stress. Thank you so much for posting this. Finally! Someone who understands our web search requests for ‘planner comparison’. Thank you KP. Unfortunately for me living in the Virgin Islands a lot of these sites do not cater to shipping on the islands and I am sadly forced to resort to a DIY consolidation of the Filofax Plum Paper iBloom. Thank you for an honest visual review, we truly appreciate it. Are there any other planners besides Passion Planner that has a weekly Sunday start and the monthly as well? I haven’t found any. Check out the Passion Planner. The only planner I’ve purchased multiple times( it’s on its second year). It’s not very colorful, but the concept of the pages works best for me. This has probably already been mentioned, but I love that the Erin Condren planner no longer has each day labeled “morning,” “day,” and “night.” I saw that that was one of the most common complaints about it in previous years. 2016 is my first year using an EC planner (I admit I was sucked in by all the pretty colors and designs), but my life will be changing throughout the year, so my needs for those 3 sections will be changing as well. I’m glad that I can label them myself (or not label them). This year, I have a Plum Paper planner, and I opted to get the custom labels on each section (each kid’s name, homeschool, a section for me, etc. ), and it was great at first, but when our routine changed (end of the school year–and we stopped homeschooling), it didn’t work so well. All of that space I set aside for each kid and school is too much and I’m cramming all of “my” stuff into a tiny box (if I follow the labels, anyway). And it turns out that having it so divided didn’t really work well for me, because it’s not like my day is actually divided between kids… and if something involved more than one kid, I was writing it twice, etc. I love your post! Super helpful. My daughter just got her PowerSheets 2016 planner in (I don’t even know if that is the right name) and her excitement over it inspired me to start looking for myself. Are you familiar with it? I’m wondering how it compares with the ones you’ve reviewed. I have a home business and big goals. Thank you! Thanks to your reviews I found my 2016 planner! Drum roll please….iBLOOM! I love absolutely everything about it! This is a great review! I didn’t read through all the comments but I was curious if you’ve done a review of the Living Well Planner from Living Well Spending Less and how you thought it compared to these others. Any feedback is appreciated! She actually came out with that planner after I posted this review! I haven’t seen it in person! It looks pretty cute and functional – the only thing I’m a little bit hesitant about on that planner is that it doesn’t come dated. I really like having the dates already written in – but that’s a personal preference! I agree about the pre-written dates! On the othe hand I usually buy my planners at the wrong time and end up wasting pages on months that have already passed. So I guess I can see the value in both! Another feature of the Living Well planner that I don’t love is how much space ‘meal planning” takes up in the 2-page week. One whole page is dedicated to weekly meal planning, while the opposite page is the Daily scheduling area. I prefer the daily scheduling (at least M-F) to be spread on 2 pages. It just makes it more useful for me at work. Thank you so much for this great post! I feel like I can finally choose my 2016 planner! I am a total planner nerd. I currently use and ECLP and love the layout, especially with the new release that doesn’t have the M/D/N boxes. I tried a Plum Paper and there was to many lines in the layout I choose. It was overwhelming for me. One thing I’m finding with my ECLP is that it’s great for me to list appointments and to do lists and meals, but now that I’m homeschooling I’m lacking something and need the extra structure. 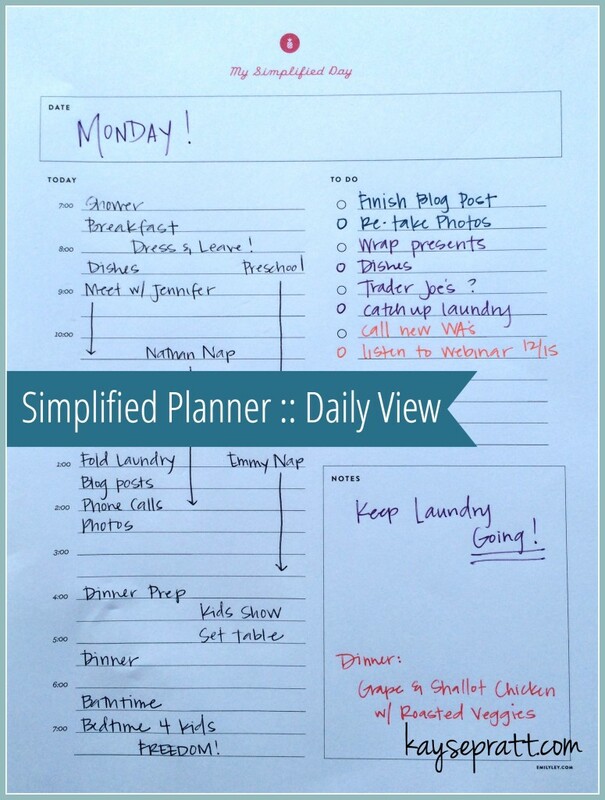 I’m totally going to try a Simplified Planner! I’m hoping that will help us actually get things done during the day! Hi, thank you so much for the comprehensive review! 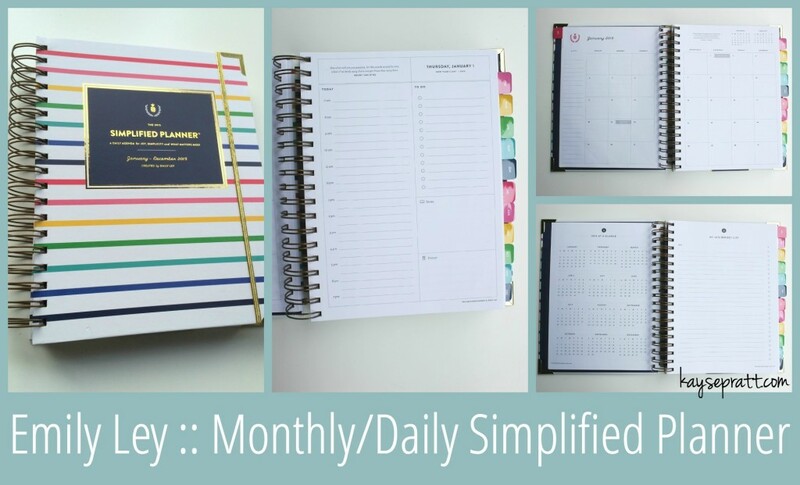 I have used and loved my Beautiful Life Management system for the past several years but need something a little more structured…I had been debating about Erin Condren and just used your link to order my first one. I tried the printable one you recommended to see if it worked for me but found I didn’t really need the hourly schedule. I think the morning, afternoon, evening system is going to work great for me for the coming year. Anyway, thank you so much for sharing each in depth!! Etsy had a ton of stickers to make the EC planner mire functional and tailored. And there is a paper punch that allows you to add pages to the spiral bound planner. I’m thinking of moving from a Filofax planner to that in 2016. Thank you for this great review! I have a Plum Paper planner that I have been using since January of 2015…..it is now September and I love it to plan my weeks ahead. I LOVE everything about plum paper. Especially their paper weight. And I have written to them b/c I really wish they would make a daily spread similar to Emily Ley’s!!! I also use a daily to start fresh each day, and look at my weekly spread (in my plum paper) and see what I need to get done and prioritize for that day. I have been using Emily Ley’s 2015 for my daily list this yr. And i liked it. But i just got Emily Ley’s simplified planner for 2016 delivered by fed ex 2 days ago. And let me tell you it is a true disappointment. The biggest issue I have is the paper weight. it is TERRIBLE. I have never seen a $60 planner with paper like this before. It is thinner than my printer paper. The paper is a HUGE step down in weight and quality from her 2015 simplified planner:( And also the entire planner was made smaller. Much too small in my opinion:( It is not enough room for me to plan out my day:( I checked out day designer which is the closest similar to her daily lay out. And I don’t like their layout as much at all:( so I think I may just use her daily free printable page from her website and have them printed and bound into a book at a local print shop:( I am really disappointed in her planner for 2016. I just can’t believe everyone on her team thinks that the weight of that paper is OKAY?! Such a great review, thank you! Plum Paper does have a planner with a meal planning option. I had that one, didn’t use it enough. Now that I have a kiddo in school and more to schedule at work I’m trying to get myself into planner mode again. Those Inkwell Press ones are gorgeous but maybe overkill for me…. Definitely check out the Passion Planner!! It blows all of these out of the water! Thank you so much for such a comprehensive review! I currently use the Erin Condren planner and I have thoroughly enjoyed it. However, after reading your review and looking at the websites I think I’m going to be using the InkWell planner for 2016. The classic layout is perfect for my lifestyle and I love all of the other features (like goal setting) that it has. I also LOVE the meal planning book that they sell separately. Woohoo! Very good review even if it seems to be very focused on students and housewives. There are still some things I wonder about: what calendars can be obtained with a weekly view which starts with the first day of the week rather than the last? It may also be important to mention that iBlooms planners includes religious expression for those who are not religiously active or even Christians. I used to use paper planners for years, now I like to use my iPhone since it’s easier to use with one hand (helpful as I nurse the baby) and I take it everywhere. Any suggestions on an iPhone planer app? I’m looking for a digital version of the ones listed. Thanks. Thanks so much for this post. It was this post that brought me to you. I was googling planner reviews and yours is one of the best I read. The ‘pros’, ‘cons’ and ‘suited to’ sections are fantastic. I must say that we have gone with the EC planner (my sister and I got one – very different lives). However, we are having a few issues with the company as we really struggled with the order and internet explorer. I hope it sorts out. Anyway, there are a number of others weekdate, uncalendar etc that you may want to consider including next time. I would suggest you do this every year about October. That would be awesome!! I have an Erin Condren planner but I’m looking at other planners to see if I want to switch for next year. I found this post about a week ago and it is a great comparison. Thank you so much! This is an awesome copulation! OHMIGOSH!! I get SO lost in the planner-world every end-of-year!! Thank you SO much for such a comprehensive amazing review of the greats! As a mom of 4 (going on five), who works full-time AND enjoys sharing the joy of EOs — I was really drawn to EVERYTHING you wrote!! Perfect! I love that there are so many options for planners, no matter what the situation. Staying organized is a priority for most women, and I appreciate you outlining the highlights from each of these so I can make an informed decision!! I desperately need to plan my and my boys’ day better. These planners look so convenient and helpful. I am so overwhelmed with life as a single mama of 2 small boys. I love that these options are here! I loved seeing all of the different planners up close and personal! Now I want them ALL!! I love the idea of color-coding my planner! 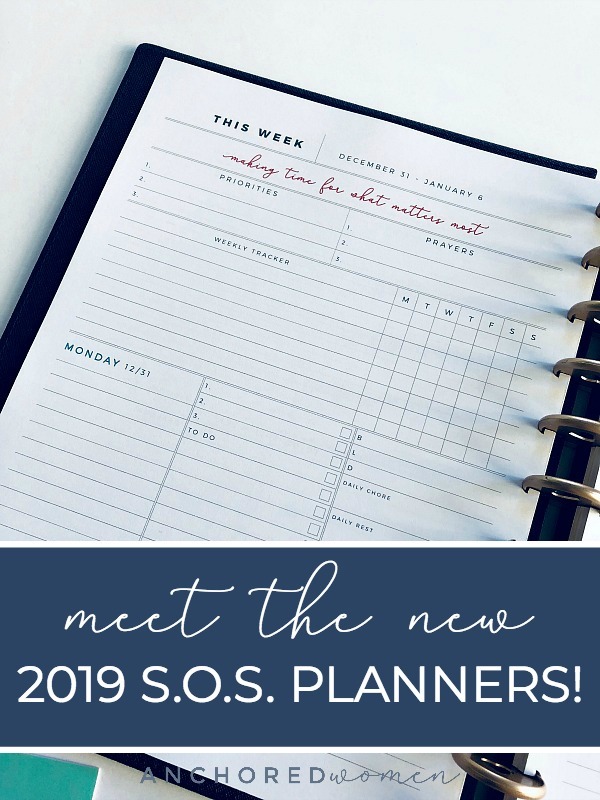 I have REALLY REALLY enjoyed this post and it has really helped me figure out that I need a good planner, still havent decided which one I am going with but it will be one of these I’m sure!! Thanks again!! We have sooooo many of the same ‘likes’ it’s crazy! I’m using the EC Lifeplanner with my Flairs. I just got my EC teacher planner for my homeschool year and I love it! Very cool love it have been trying to do this for ages!!! There are 4 spaces across the week for keeping up with my four kids. Love it!! I can not choose which planner to go with…too many great ones described here. I was just thinking I’m about ready for a new planner and I’m so glad you wrote this! It also encouraged me to plan out my days more intentionally. Thank you!! Saw this post when you originally wrote it and still come back to it each year when making a planner decision. Hi Kayse, this was a great blog. I am thrilled I ran across it. I was looking up all kinds of planners at the end of last year and ended up finding a lovely local-artist’s planner which did well for me this year. The thing I wished though was that each week’s focus could carry onto each day’s planner so I was looking at it even when in a rush. I also run a busy private practice and wanted to merge my work planner with my personal planner which means one that helps me do it all. Well, just tonight I found the DO IT ALL PLANNER by Orange Circle Studio and it was only $14.99!!! This was at Barnes and Noble. I’ve spent up to $75.00 for a custom made name-brand planner, and as little as $25.00 for my annual planner (bought at an office supply store) in the past. Each one leaves me wishing for a slightly different planner. This one blew me away for the value. Complete with a sturdy moisture-proof cover, a colorful band to keep it closed, very cute appointment stickers, monthly calendars PLUS a week-by-week layout (my favorite way to plan my life) and WITH 6 color coded sections (one for each major role or responsibility in life!) headed by the weekly focus/”this week” section. Handy notes pages, emergency info pages, front and back pockets, shopping (slash meal planner) lists, and ongoing TO DO lists it really has it all for such a low price. Just add your own tabs (super easy to find or make). The only odd thing is it’s an academic year calendar (so get one now Aug 2015-Dec 2016) and it has three top spiral (double) rings and three lower spiral (double) rings with a space in the middle. The rings are very sturdy though and pages flip without snagging. I’m in love so far! Keep these helpful blogs coming. Oh my gracious you have done your homework!!!! Your readers are surely grateful! I’ve been thinking about the EC planner, and EmilyLay….I do love them both. this really gives me great detail to help make my decision. Also – thanks for your list of favorites supplies! I love goodies and will be buying some soon! I was encouraged by your diligence in reviewing all these planners and your carefulness in explaining all the pros and cons. It has been so difficult for me to decide on a planner for 2016 and this post helped so much! I am leaning towards EC or InkWell! Thanks for such an informative post! I love your reviews of the planners and although I like the simplified planner, your review helped me to choose the erin condoner because I think it will work best with my life. Also, love the pens and little add ons that you use! Thanks! I love seeing all the previews of pages and readi g your reviews on them. Planning is one of the area I need to improve and I am still looking for the better fit planner for me as a stay at home mom, working at home part time, and soon will be working full time on mission field with my family in Southeast Asia. Thank you so much for this post 🙂 Now I can make more comparison with one is the best for me. Great review. I’ll have to take a closer look at them all. I’ve been going back and forth about a planner option but I just can’t decided. Right now I think I’m between the Erin Condren and another one I found recently called the Get To Work Planner. I need to be able to balance my blog, etsy, home life, food and finances in mine. The fact that you are here online inspires me to work at being better organized. Thank you. I loved this review which really helped me to consider which planner is the right one for me. I really am inspired to get organised this coming year and now am really excited to plan some great days with my family as we are expecting a new baby in October. Thank you for the great reviews! I’m trying to find the perfect-for-me planner and just happened to stumble upon your reviews and this great give-a-way! One of the best comparisons I’ve read, thank you! Have you ever tried a Tools4Wisdom planner? Because of this post I purchased a Plum Paper planner. I’ve used it all year and still love it! Excellent resource for finding my next planner! I’ve used planners/calendars for years for birthdays and general appointments, but I’m just now getting into really using them to organize multiple aspects of my life. This has been extremely helpful. Thank you! I just ordered the Erin Condren Planner for school this year, and I’m really looking forward to it! I’ve been looking for a comprehensive review of different planners forEVER, and I’m so glad I finally found it!!! Thanks so much! Thank you for this. I have like 5 planners that have like 5 pages done and like 3 down loaded. I just cant seem to find the right one for me this helped me eliminate some of the ones I was thinking about and it also helped think about ones I had not thought about. Thank you again. Love the information in this post! Nice layout and comparison! I love learning about types of planners I haven’t heard about before. Oh you just gave me two other possible choices this year. I have been an EC user for 4 years, but Plum Paper and Simplified Planners may be other options. Love this blog post! Thanks for putting together this comprehensive list. Great review, there were new to me planners that may have changed my mind on my original choice. I’m so glad I found your website! Your planner comparison is wonderful. I’m heading toward the InkWell planner, with Emily Ley’s Simplified Planner as a back up plan. You have beautiful handwriting and I’m curious as to what pens you use in your planners. You mentioned Papermate flairs at the end of the article, is that what you use? I ask because when I have used Papermate flairs I had a lot of bleeding through the paper and the writing lines seemed thicker than your handwriting. Have you experienced bleeding? You have won my heart over, I too love planners and I never knew these places existed! This is so great! It can be overwhelming looking for a planner. I love EC but have been looking at other options recently! Thank you for this! I’ve been shopping for a new planner, and this is the first place I’ve found a side by side of so many! I am such a pencil and paper kind of person. I really enjoyed seeing how you practical use such a great planner! Great information!! I’m a planner junkie. I’m always looking for something new and fun. I love to see how you have used the space in each to plan your tasks. Love the accessories you’ve recommended too!! I am interested to know how you use the washi tape in your planner. Thanks! You are a joy to read. I truly feel as though all my questions have been answered clearly and concisely on each planner option’s functionality and like ability. THANKS! I’m working on it for next year! THANK YOU! It was so beneficial to really get to see a real-life comparison to all these planners! It can be so overwhelming to try to compare on your own. Thank you! I love nothing better than a great planner and this is one of the greatest comparisons ever! Thank you Kayse for all your hard work. I am looking forward to getting organized for the school year. So now how do I choose?!? Thank you so much!! This is VERY helpful with deciding what planner to get for 2016 ? This is an amazing post and one I’m sure I’ll come back to! THANKS for the awesome reviews and work to review each planner. Before I knew of your blog (just recently!) I bought the Homemaker’s Friend Daily Planner – it was BOGO – buy 2016 and get the 2015 free. I am really loving it. Instead of all these little scraps of papers with grocery lists, to-do lists, lunch/supper ideas….it’s all in one place!! After reading your blog, I did buy a set of erasable pens in different colors. They arrived yesterday and I LOVE how much difference it makes on my list. Fabulous! Thanks for all the great info and the awesome giveaways! I love that the Simplified Daily Planner has a place for each part of my day as a stay at home mom to two girls under 3. I’m inspired to try my hand at planning out our day to day routines and activities! Wow, great review! I love planners!! Thanks so much for your comprehensive review of planners! You have covered everything, including the prices for each! 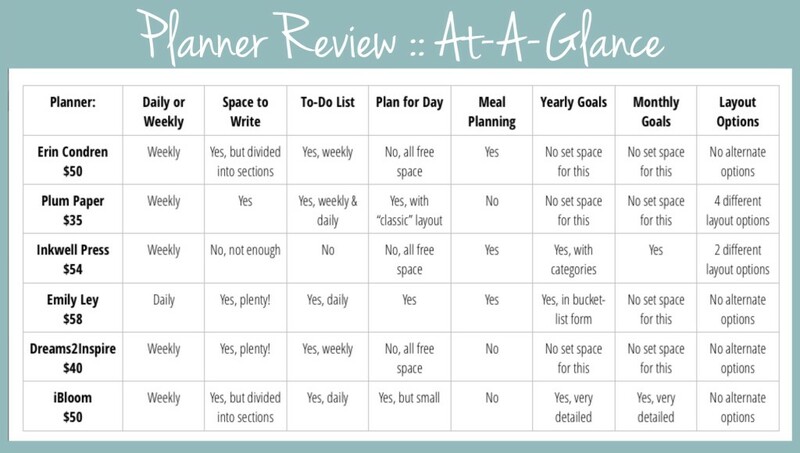 This is so helpful to those of us who need a planner, but don’t know which is the best “fit” for them. I’m always looking for a new planner! I am also a planner nut! This is a great review. Still not sure which would be best for me, but I know a couple I would not use. Than you! Talk about great timing! 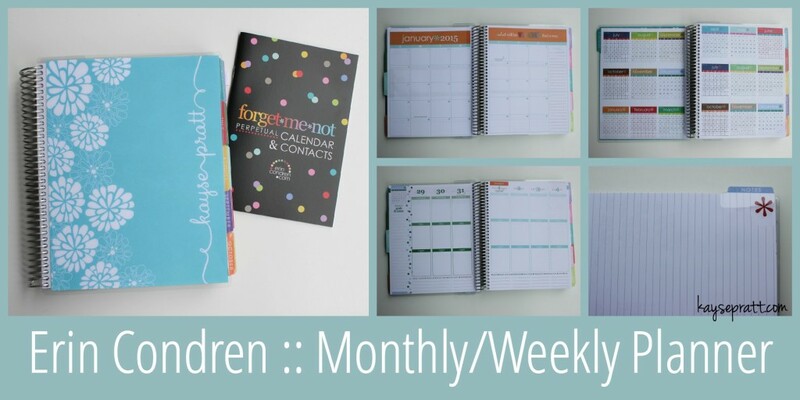 I am on the hunt for a great family planner now that the kids are back in school and this is a HUGE help. Thanks! I love this post! I used the Erin Condren planner for 2 years and am currently using the Plum Paper for personal use and the Day Designer for my VA work. This post is exactly what I needed to confirm my planner decision! I am so excited to order one! I LOVE planners and this post offers so many useful tools on how to better use a planner that will help me stay organized and use a planner more effectively! I think this planner is awesome also!!! I totally love this run down of the planners. You were totally right when you noticed that there weren’t any more than 2 planner comparisons at a time. Love this!!!! Thanks for such a thorough review. I LOVE planners and have had a hard time finding one that will work. 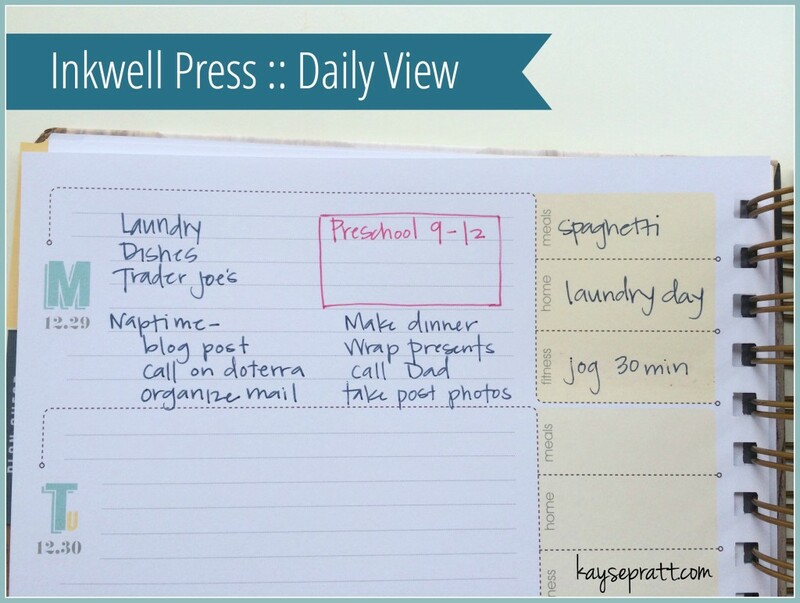 I’ll be using the inkWELL Press planner for 2016 but I’m really wanting to try out the Simplified Life Planner. And it really looks like it would work for our homeschool as well. I may just have to give that one a try too!! Even though a planner is an everyday necessity, I like that you can make it your own and have fun with it. I loved how you showed such a variety. 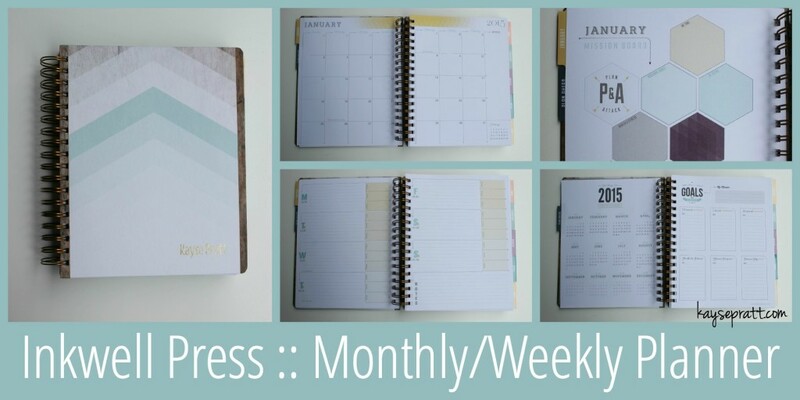 I would love to customize one w monthly overview, daily, meal planner, fitness, medication tracker, list of doctors, my custom budget page and something for my Younique, In a Pikle and Custom vinyl design businesses to have a simple layout to keep track of customers and notes about them, orders, parties, materials, expenses and finally a place for daily devotional. But most of all not have to print it myself and not be the size of a notebook. I look forward to seeing what you have in store for the holidays. I loved this post the first time I read it, and reading it again just inspires me all over again! I am always trying to organize. I write everything down, so I can keep up with everything. I enjoyed this article, because I have been on a mission to find a good planner to use! I love these reviews! There are so many wonderful planners out there, and it’s so hard to figure out which one might be best for me. Your reviews are so helpful in narrowing down the selections! Thanks! I have used the Erin Condren planner for YEARS, and was searching for reviews of other planners – this blog post was what brought me to your blog! And I’m so thankful that I came across it on Pinterest! Now I just need to decide what one I want to try next. I know the EC planner has been revamped a bit, but do you know of any chances in the others you talked about? LOVE LOVE LOVE these planners! I love reading these compairasant articles. Being as I can only order these planners online and have no option of testing them before I buy, I fully depend on people like you who share their experiences with others. And to have them all in one post is even better. Thank you for inspiring me to pick the best planner for me and get things organized. I just got my first EC planner this year but I love your comprehensive review on the variety of planners available!! I really loved your breakdown of all planners! It’s helpful to see them being used without having to buy it. Kaysee had a wonderful and unbiased review of the popular planners. Like her, I too am a planner addict, always looking for that perfect one. The Erin Condrin planner is my favorite with all of the bells and whistles and I enjoyed all of the posts Kaysee made showing how she uses hers. Awesome and fun!! I am searching for the right planner and just not sure which one will fit my needs. 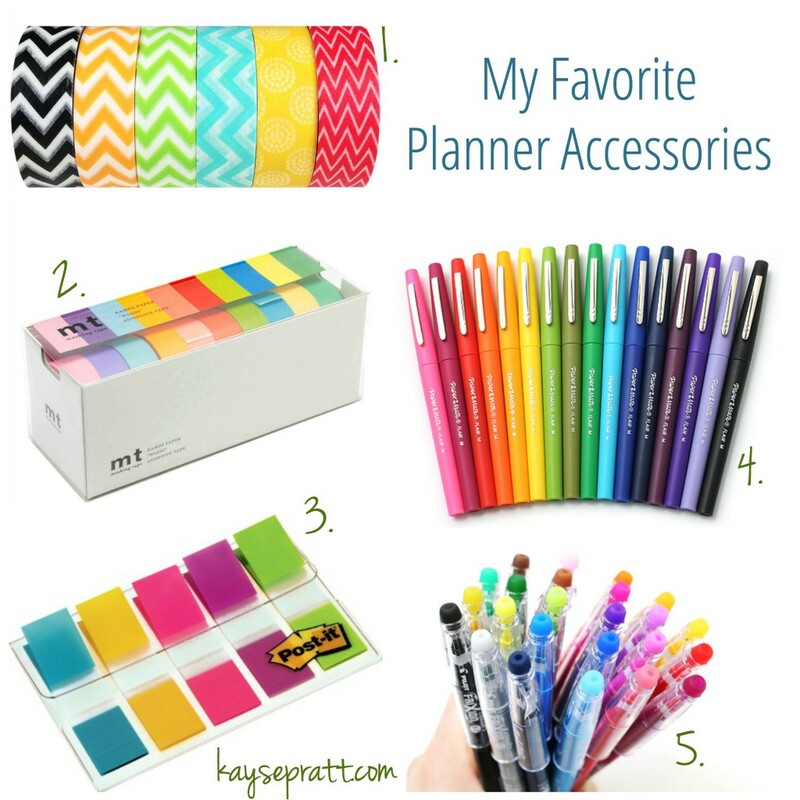 This post has been very helpful in narrowing down my planner needs! Thanks for a chance to win! This was a fun & creative way to do a giveaway! Congrats on 6 years!! This post is actually what initially brought me to your page! I love your stuff! So many planners, so hard to choose! I love planners! Great reviews of them! Planners are a weakness for me! I LOVE them! The ones they have in the store are so boring though! I’ve wanted to design my own for a long time and I’m working on it but it’s definitely a SLOW process. I love Erin Condren! She has more options now with her planner and I’m legit obsessed with everything she makes. I have avoided reading this post ’til today because I just thought, “I’m not a paper-planner person”. Of course, I write out my own plan every night or morning, so maybe that thought about myself doesn’t make sense. I think I just haven’t found the right planner for me. I’m going to go through these selections pretty slowly soon, and think about whether to invest in a planner again. I tried a lot prior to having kids and it just never stuck. But now I’m so much busier with two little ones, including one who has multiple therapy appointments each week. Thanks for the post. It’s inspired me to look into paper planners again! It has been so long since I’ve used a planner but recently I decided I need to get more organized. I think I will accomplish a lot more each day using a planner. Your pros and cons really make picking the right one so much easier. Thanks! Thanks for all of the reviews! I haven’t used a paper planner since I was in college, due to a highly changeable work schedule. But now that I have a kid, it might come in handy to go back to that at some point, especially since I’m already leaning towards homeschooling! Love the review! I’ve been trying to find the perfect planner and you have some great options and really cool ideas I’m going to implement! Love your site! Thanks so much for this review. Im new to the planner world and I’ve been trying to figure out what would be best for me. I have to try and find the simplified planner. Any planners without the coil? I currently use EC. I like the weekly view and the size of the pages, however the planner is a bit heavy, no lines, and coil bound. Any suggestions for similar size, weekly view, but maybe in a binder? Thanks for sharing this breakdown. I’ve been obsessing over which planner to get for 2016 and I’m running out of time! I’m about to look into the Inkwell Press and iBloom planners. Hopefully my search concludes today with you help! I was looking to see which planner to order for myself and a friend… I need a daily and also a Month at a glance… also personalized on the front? which one do you think would be better for a home based business plus 6 children??? Yay! I’m so glad you’re here!!! Welcome! Kayse- have you looked into the Day Designer? Thoughts? I have been on the hunt for the perfect planner I’m a pen and paper color coding kind of person and the computer and phone, loose leaf sheets of paper and post its are getting too messy and definitely found this article helpful! However I am left handed and I’m not sure if anyone else has ever encountered this but as a lefty it is very uncomfortable and difficult to write in sprial bound/wire notebook or even binders do you have any recommendations on case-bound planners especially similar to emily ley/day design that is small enough to carry around as well? I’m so glad I found you! I saw Emily post your “how I use my simplified planner” on her IG and made my way over! I actually just posted something similar on my blog the other day as I try to figure out what planner I want for next year. I have a EC planner this year and did last year too and I LOVE it. I hate the vertical view but I hear she’s coming out with a horizontal view next year. I love the monthly view for blog stuff and weekly for family stuff. BUT I find that it’s too heavy to carry everywhere so I leave it at home often, which is not what I want to do. So I was debating the EL planner but I feel like daily might be over kill for me and I think it might make it heavy with 365 (or half of that with front and back?) pages. Plus I’m afraid of change! So, while I think this post helped me somewhat, I still feel like I’m torn between EL and EC! Help! These are all nice planners, but I think you should check out PlannerPads.com . I’ve been using them for a few years and they are amazing for organizing life and work in one convenient place! Hi! My favorite planner is the A5 Filofax Original with inserts from Life Is Crafted on Etsy! I have the day on one page polka dot theme! Have you looked at the Mom on the Go planner? 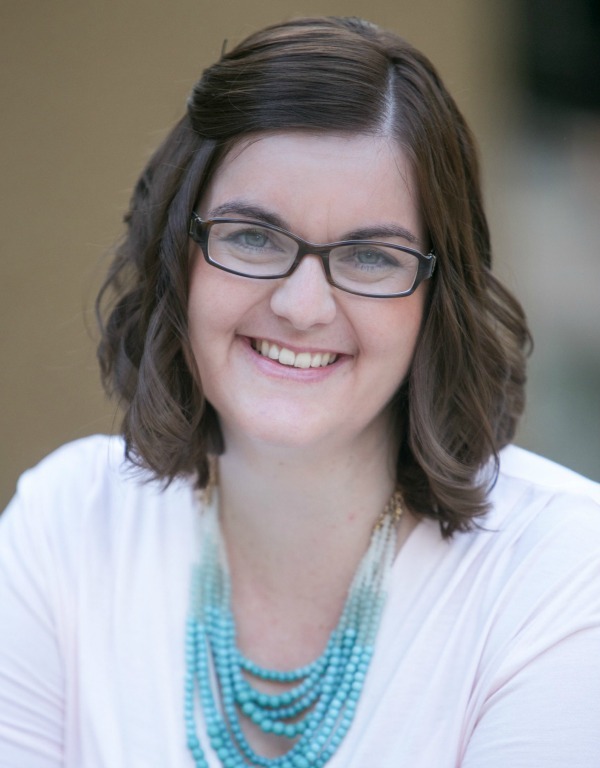 She is a mormon and has a mormon mom planner, but her Mom on the Go isn’t for Mormons. I’m not a mom, but there are so many different things that I am able to do with it between home and business. You might want to check it out! I had the same issues with all the other planners! ha! I am a planneraholic!!! I stressed out totally because the planner I used is now discontinued. We had a wonderful relationship and I hated to see it end. And the thought of committing myself to yet another planner scared the bejeezus out of me!!!! However, after weeks of searching, I have found my new match…The Create 365 Happy Planner from Hobby Lobby! It was $24.95, and with the 40% coupon you can get online, I only paid $15! It uses the same Arc hole punch as my ex-planner, so I can add anything I want to this! The covers are amazing and there are all kinds of add-ons you can get. I paid $7.99 for a Home Planner section. It has a weekly meal planning section with a side-by-side grocery list, divided by grocery section. There is a cleaning list, a general To-Do list, and a budget section. I am totally and completely in LOVE!!!!! Lacy, I used the ARC system for my planner and for many notebooks I have created at work. For the amount of page turning in my planner I did this year, the pages are coming out all the time now. I like it for the notebook cause I can add notes from a meeting/training etc. but I am going back to a spiral for my calendar this year. I am an EC Girl all the way!! She’s made so many improvements to the planner and I love it!! It’s no longer broken into morning day and night and she’s added goals to each month! I’ve been looking for an affordable planner for so long and I am now investigating the “Plum Paper” Planner thanks to you! I live in Israel and most companies don’t ship there and when they do – the planner itself is so expensive that with the shipping it’s just too much. I’m starting university this year so I’m probably going to get the “Plum Paper” Student Planner – which is so perfect. THANK YOU SO MUCH for this. I love planners and have been wanting to make the jump into get a real quality one, but I haven’t quite found the perfect planner until now. Seriously, the Emily Ley planners look amazing, and I totally realize this is from last year, but they’re still amazing (and sold out) haha. At least it gives me some time to be prepared for the price tag. And they’re coming out with the cutest Pineapple design. Love the posting! Just bought the plum paper planner. Can’t wait to get it. Thank you for writing this wonderful review. I am currently on the hunt for a planner that works for me. I am currently using one I bought at WalMart but need one with more functionality. I’m a part-time working mom but I am also the rehearsal director for a local community dance theatre. My schedule can get pretty wacky. Your review has given me a lot to think about. Thank you so much for this review! I’m a college student that is highly involved and finding the perfect planner is so important to making my year function! What I like about the Dreams2inspire planner is that the contents start on the month you recieve it. So, if you’re a Johnny-come-lately like myself I wont have to shell out $30+ bucks and only get half a planner that I can actually use! I got my planner from personal-planner,com. I got to say that I’m liking mine so far because it comes into great use for me and you can totally design it however you like! 3-5 different sizes of planner to choose from. can customize what you will like in the back of the planner at no extra charge! can make a list of contacts and it will automatically be printed out into the planner for you at no extra charge! can make a list of birthdays and special occasions and it will be printed inside for you at no extra charge! The inside layout is similar to the Plum Planner. However, the con of this planner in my opinion is that there’s no FULL SIZE PAGE OF THE MONTHLY months. This planner is shown in weeks only and there’s a tiny picture of the month at the bottom of the page. This blog makes me so happy! Thank you thank you thank you! I have been reading reviews about planners until my eyes have glossed over-seriously for hours! You have put it all in simple form and I love the breakdown of pros and cons. 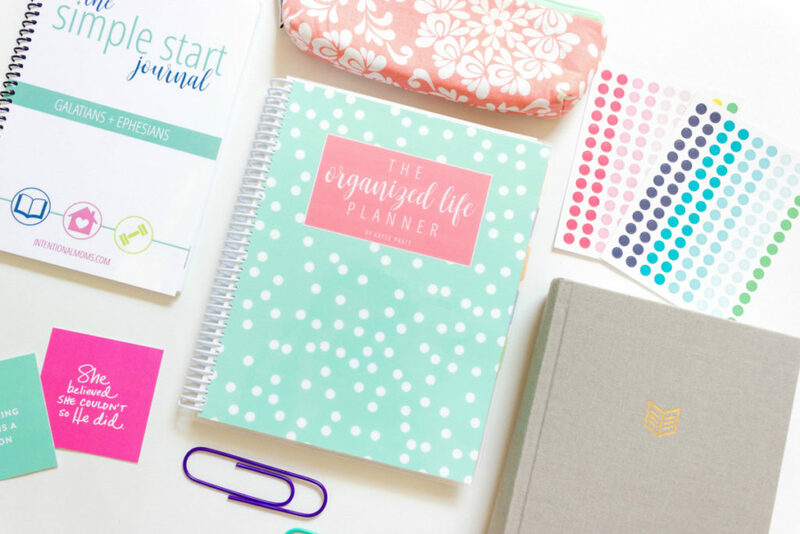 I was getting ready to order the Erin Condren planner until I read this blog and now I think the Emily Ley planner would be better suited for me. I’m a graduate student-not a new mom and I think the daily pages are great for organizing and keeping my schedule on track. Emily Ley’s website is showing the planners are sold out so I am hoping one of the local retail shops have one in stock. I never write on blog sites (I’m pretty sure this is the first one) but I just had to tell you how much I appreciated the honest review. Thanks again! I looked at most of the planners you reviewed when I was looking for my planner for the coming year. I liked several things about the different ones but I was wishing I could combine the different parts into that one perfect planner just for me! While searching for the perfect planner, I came across personal-planner. You design your own planner. You choose the cover from several choices, and you can even use your own personal photo. You have options of formats for the days. The planners come in different sizes. You can choose what goes at the bottom of the pages or to the sides of the pages such as a to-do list, ideas, just ruled lines or squared. Many options to make it uniquely yours. And for teachers you can plan a lesson planner just for you!! Even choosing how many classes you teach and what subjects!!!! I know all you teachers out there just got excited!!! So go check out this web site and see if this could be the planner for you!!! You are awesome for doing this! Sharing with my readers. Oh, my! I was like a kid in a candy store with this post. Thank you for an amazing amount of work to help sort out the field. Still loving my Beautiful Life Management system from His Grace Works for my daily, but I need an upgrade for a monthly planner (weekly is on a whiteboard). Yay! I’m glad you enjoyed the post! I just received my Simplified Planner a few days ago and have already started setting it up for next year… So far? LOVE IT! Currently checking out the Etsy store you recommended… And some of your other posts. This is interesting to compare different planners. I’ve used the PLANNER PAD for 16 years. It is might be plain compared to the ones you’ve categoried; however, it really works for me, and I’m able to customize it to meet my needs. Anything you can customize is awesome! I’ll have to look that one up! Thanks for this wonderful review! I have been a planner junkie as long as I can remember…..I can’t get used to the idea of typing something into a phone or computer and NOT writing it down! I have spent YEARS looking for the perfect planner, and I’ve used a million of them…sometimes more than one in the same year! There is a small space at the bottom to write in meals (I use it for dinners only), and there are TONS of planning pages in the back, as well as monthly layouts in the front! The thing I love the most is the removable address book in the back! You get new one every time you purchase a planner, but you can move them to your new planner if nothing changes, so you’re not stuck rewriting your entire address book every year! Thanks for the post…..I was thinking of trying a new planner next year, and some of the ones I was looking at, you reviewed. Thanks to your post, I know that I’m more likely to stick with the MomAgenda, unless you review something else that catches my eye!! I *never* comment on blogs, but this is such an amazingly helpful review/guide, that I wanted to say thank-you!! Have you ever given thought to setting up the lesson plan book to serve as your planner? Thank you for this great post. I have been searching for a new planner and your reviews were very helpful. I wanted to go with the Emily Ley Simplied planner which I read about on another blog but they are sold out until April/May. I am going to purchase the Plum Paper one for this year and get pre-order the Emily Ley for next year. What a great post! I’ve been working with a homemade planner that I put together myself. It has worked great but it is a lot of work to put together and print, and I’m always looking for ideas to improve. Thank you! Thanks so much for your great post. I learnt so much! What an amazing article! Extremely useful and I learned a lot. I am currently using the Erin Condren Planner, but of course there are pros and cons. I wrote a detailed article about it as well! i enjoyed your reviews! I’m on my 2nd ECLP. I am really liking it. I got into decorating it too! I am a part-time working mom to a 15 year old. I am not super busy. I just recently caved and ought a Kiki K medium time planner. It is beautiful! It is more portable than ECLP! So many good ones out there! Oooh I haven’t heard of that one! Off to check it out!! Hi! I’ve spent the past three days reading your reviews and comparing planners and daydreaming on their stores. I’m VERY picky and OCD about making the right decision lol. Your Erin Condrin coupon code is expired, any chance you have a new one to share with your readers? Thanks so much for your reviews! I’ve read them so many times I could probably quote them back to you in my sleep. I meant the Plum Paper code, SORRY! I’m sorry, that was the only one I had! I’ll look into it and see if they will extend another one! I love this post b/c I am slightly obsessed with planners. Congrats on finding your perfect planner! I’m currently using a Walmart Mead planner that is a 8.5 X 11 I think I like that size because I write so large. Oh my gosh, this is the best planner review I have ever read! I, too, love love love planners. I’m now considering ordering the iBloom to replace the cheap little Office Max one I just bought. I need to stop reading; I love them all! it has a monthly calendar, a blank page for notes or lists, then weekly 2 page spread with lined calendar on the left side and weekly to do and weekly goals as well as a 1/3 page which could be used for notes or menus. there are lots of accessory pages you can add to the system including to do, notes, & project planning. I really wish more of these sold ring bound inserts. 🙁 They are so lovely, but I cannot do spiral. Did you know you can insert pages into a spiral planner? They gave a punch that lets you do it. I love seeing all these beautiful planners compared but I LOVE my Day Designer! It’s beautiful it’s the most functional (for me) and I have purchased somewhere around 30 different types of planners to fit my needs, I almost gave up and created my own until I found Whitney English and her amazing Day Designer! I like that one too! I almost included it, but I liked the Emily Ley better, and they are SO similar. I’m glad you found one that works so well for you!!! I absolutely love your review. I am a planner fiend also. I think I have settled on using the Passion Planner this year. I will definitely look forward to your planner review next year before I purchase. Thanks so much for sharing. Thank you for reviewing all these planners! It is so helpful to have this information. I have an Erin Condren (for family) and a Mead Planner for blogging, but I have a feeling I might need something else. I am a planner junkie. I also am addicted to flair pens (love them)! Pinning this. Thanks again. I love the looks of the LiveWell planner by inkwell press, but I just can’t convince myself to spend that much money on a planner. I usually get one than $10 at Walmart and just make it work. They have ones that are ring bound at Walmart that could be way more beneficial when organizing your life! I can’t remember the name though. What a nice review! I enjoyed reading the details about each of these planners, and think of the six I’d probably like the Dreams 2 Inspire, or the Emily Ley best. I love the Journal by Emily Leys too! I might get one for my upcoming birthday – thanks for sharing all the helpful info! LOVE this, Kayse! I’ve had my eye on a few of these. We’ll see how this one works for me this year. I love the LC Powersheets and have been wondering how I’m going to sync the Powersheets and the goal setting component of the iBloom planner without being redundant. Thanks for this post! I actually getting the inkwell flex for my busy nanny, college student daughter. All the best to you and yours as you head into the New Year! I learned about your review from other Chloe and Isabel gals on our internal FB page. Trying to pick the right planner and not spend a ton is hard. But I am so DONE with having one for my full time job and another planner for home/jewelry business/wood shop. I am not familiar with your blog (only a mom of 3 dogs) but I am grateful that you wrote this! Tomorrow I will be going to look a local stores for the Emily Ley and if that doesn’t pan out the iBloom is the next best. Thank you so much for your review! This is my first year using a planner and having a place for everything looks like a good alternative for me, so I decided to go with the inkwell in the classic layout. I have 2 preschool age kids, so there’s not a ton of going on. Got 20% off with your link! Such an insightful review, thanks for the tips. I just purchased a Day Designer so I am excited to see how it works for me in 2015. Great review! I’ve decided to try out the Passion Planner (it was on Kickstarter a couple months ago) this coming year. I saw that one too, and it looked great! But wouldn’t have gotten to me in time – they are saying they wont ship till January? Is that still the case? I think you are right! I got the digital download, personally. Passion Planner is AMAZING! I’ve used it for a couple months now and it has quite literally changed my life. Highly recommend it for anyone with a busy life who could use a little help with focusing on what matters most. I will explore some of your other recommendations. I know, such a bummer. 🙁 BUT, they are in retail stores, and some will ship to you! There’s a link in the Emily Ley section above that will take you to her list of retailers! If you like the Emily Ley try a site called day designer. You can even download a sheet to try it out. In love!!! I am seriously considering selling my planner (one of the ones listed above) to buy another one (also listed above). Thanks for this!!! I have a Dreams 2 Inspire and love it! !